As things start to heat up here in New Braunfels, you’ll no doubt be on the lookout for fun activities to keep you and your family busy and cool. As New Braunfels’ leading air conditioning repair service, we spend a lot of time in the heat and are always looking for ways to cool off on our days off. 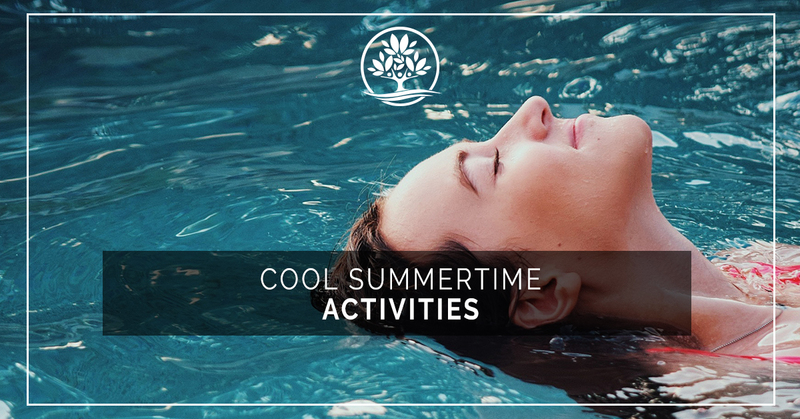 In today’s blog, we’ll share some of our favorite summertime activities. Getting out onto the water is one of the fastest ways to cool off and beat the heat during the summer months. Whether you’re paddling down a river in a canoe or rowing a boat across a lake, the wind moving over the cold water acts as a natural form of air conditioning. If you’re still too hot, you can always jump overboard and take a quick dip. Plus, paddling and rowing are great forms of exercise that work muscle groups in your core, shoulders, back and even legs. Boating can help you look hot even while you keep your cool. Take advantage of all of the beautiful sunshine and ride your bike around town. You’ll see all the familiar sights in a new way, and get plenty of exercises while doing it. Even if you break a sweat while you’re pedaling around town, the air moving across your skin as you move will work to cool you off. Your sweat will evaporate off your skin, cooling you off naturally. You can wrap up your bike ride with a cool glass of lemonade or an ice cream from your favorite shop downtown. Few things are more satisfying than to go swimming on a hot summer day. Even a quick dip can cut the heat and keep you feeling refreshed and happy. You can make a day of it, and pack a picnic lunch for you and your family and spend the whole day by the pool. Just be sure to pack plenty of sunscreens and to hydrate while you swim. Fishing requires patience, but that’s alright because that just means you get to spend more time by the cool water. Fishing is fun for people of all ages, and wading into a river or lake to go fly fishing is the perfect way to cool off fast. Late evening or early morning is the ideal time to visit your favorite fishing spot. Not only have the temperatures started to drop, but the fish are also more active as well. You’ll catch more fish and not break a sweat while you do it. On those days where the sun is just too bright and hot, it’s time to retreat to the nearest movie theater. You’ll be treated to their commercial air conditioning systems that keep the air comfortable and cold. As an added benefit, you’ll get to see a movie, but we understand if you really go just for the AC. We all remember those long summer days of our childhood spent playing in the sprinklers. Why not recapture that feeling by doing it this summer! Set up your sprinkler in the morning or evening when things are cool and run and jump through the sprinkler. 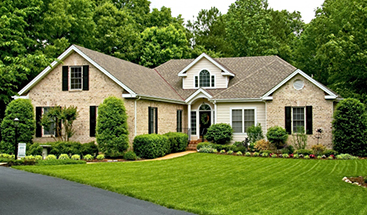 The water will feel great against your skin, and your lawn will likely appreciate the extra moisture. After a long day of fishing, biking, paddling, and swimming, you’ll likely feel pretty tired, even if you don’t feel hot. End your day by relaxing in the wonderfully cool air of your air-conditioned home. Recline on your couch, stretch your legs, and kick up your feet. Treat yourself to a chilled beverage of your choice and spend a few minutes telling your family about your fun summer day. Don’t let a broken air conditioner keep you from enjoying every minute of your summer. If you’re in need of air conditioning repair in New Braunfels, there’s only one company that can quickly and affordably repair or replace your AC Unit. With more than 30 years of experience. Legacy Air Conditioning And Heating offer free estimates on all of our work and financing options for new air conditioners. Contact us today and arrange for your regular AC maintenance.